Now, as STEINS;GATE ELITE, the game is fully remastered with animated scenes from the anime, creating a perfectly new, immersive experience. 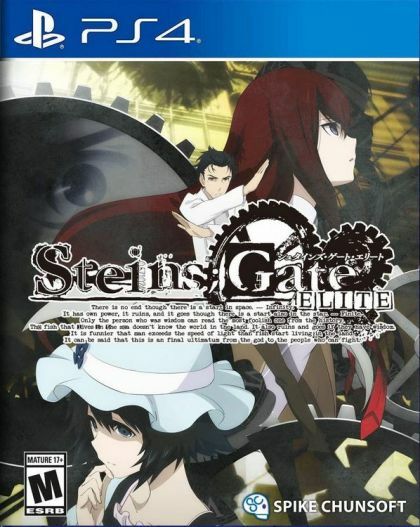 STEINS;GATE ELITE follows a rag-tag band of tech-savvy young students who discover the means of changing the past via e-mail using a modified microwave. Their experiments in pushing the boundaries of time begin to spiral out of control as they become entangled in a conspiracy surrounding CERN, the organization behind the Large Hadron Collider, and John Titor, who claims to be from a dystopian future. Fully Animated Adventure  Indulge in all the beautiful animation from 24 episodes of the STEINS;GATE anime. Additional New Story & New Routes  Dive deeper into the world of Steins;Gate with free additional stories - Phenogram for PS4 or the 8-bit minigame for Switch - along with new routes that were not present in the anime. A New Way to Time Leap  Experience the world of STEINS;GATE with this remastered, ultimate version that features newly animated sequences for certain endings. Branching Storylines  Every choice you make has its own consequence, shifting the world line closer or farther from reaching 1% divergence. LANGUAGE(S)- English text, Japanese audio. An HD remake of STEINS;GATE: Linear Bounded Phenogram, a collection of 10 additional stories written by renowned writers, including the Zero Escape series scenario writer, Kotaro Uchikoshi, will be available for the PlayStation 4 version.